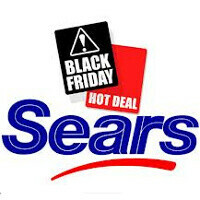 Black Friday might be in two weeks on November 23rd, but leaks about the big sales day are popping up from all over the place and now the offers at Sears have surfaced. You have some great deals in tablets and for example you can get the Samsung Galaxy Tab 2 7.0 for $178 and the Samsung Galaxy Tab 2 10.1 for $298. But the real doorbuster deal seems to be the Nook Simple Touch, the 6-inch e-ink reader that could be had for merely $39.99 with savings of a whopping $60. Now, we can imagine those will be sold out pretty quickly, don’t you think? All the Sears deals are right below. not another radio shack flyer? Prepare for "leaks" from just about every store. Not even the $300, 1080p, LED, 50" TV?